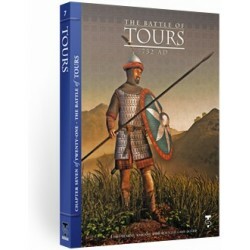 The Battle of Tours est un wargame de Richard Berg simulant la célèbre bataille de Poitiers où Charles Martel stoppa les arabes en 732. Now, Turning Point Simulations gives you the chance to determine the future of France and Western Europe, with a tactical system which highlights the different strengths and weaknesses of both sides. For the Muslims, you’ll find them lightly armored, cavalry heavy, and prone to piecemeal attacking by tribes. The Frankish army is a century before Charlemagne, caught in transition from Roman heavy infantry tactics and the birth of armored knights. It is mobility versus defense, Moorish spears versus Frankish long swords. And you make the decisions. 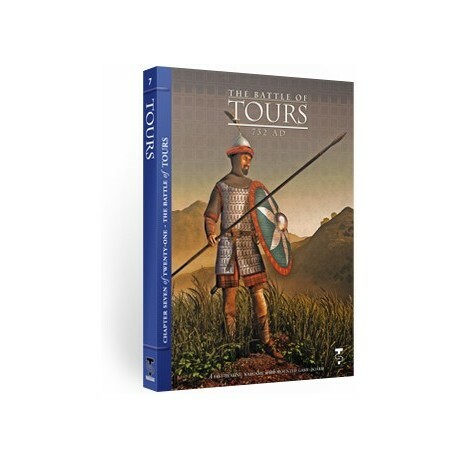 The Battle of Tours includes 100 counters that capture the widely varying weapons systems at this battle. 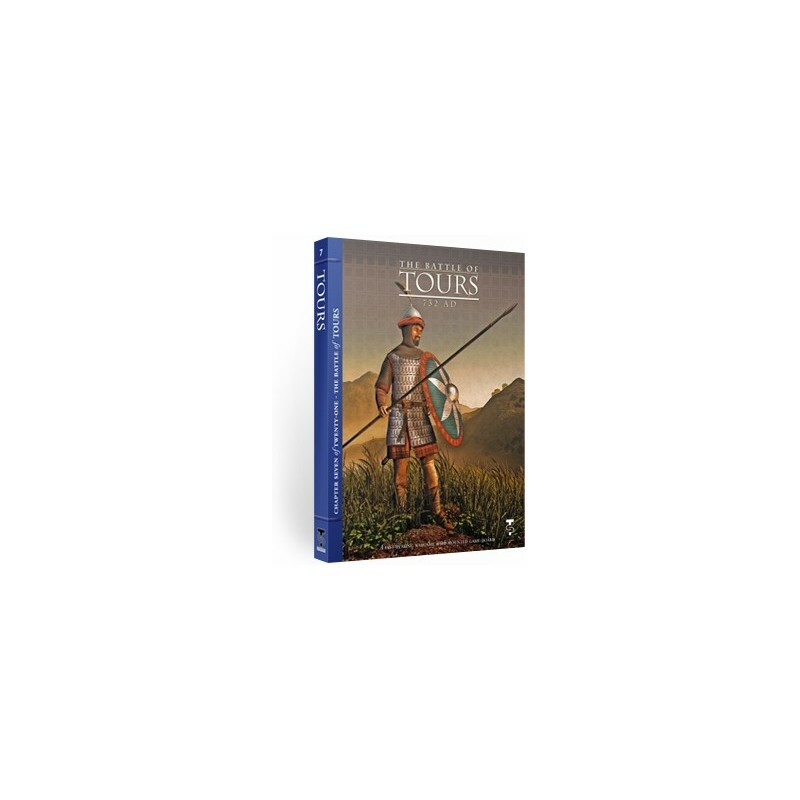 You’ll find both light and heavy infantry, light and heavy cavalry, and (a few) mounted archers. But beyond unit types, you’ll command troops who actually fight "differently" from each other. Muslim units are activated by "tribes," as a collection of varied unit types that all happen to move together. Frankish units activate by type—all the heavy infantry, all the light infantry, all the cavalry. The difference means the two armies "feel" different to command. 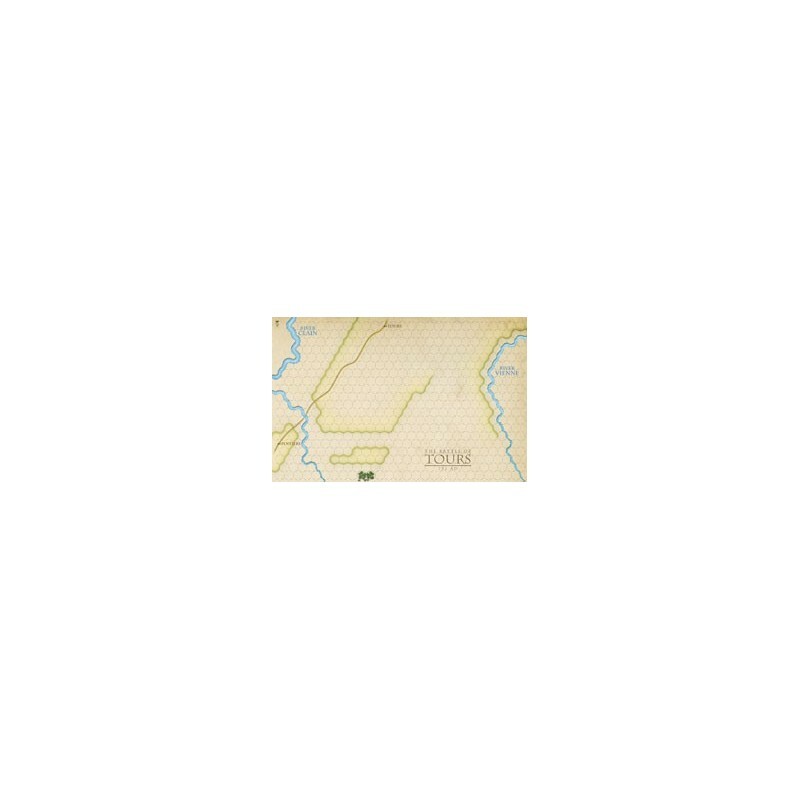 Players designate basic "orders" by selecting counters, then find out who obeys. The chaos and lack of real control conveys an historic chaos that really captures the flavor of this battle, where failure can mean slaughter, but victory can mean losing control, as troops turn from soldiers to looters. You can be up one turn and down the next. Hang on for the ride.